As one of the most influential programming languages in the world, Perl is used extensively in web development, data processing, and system administration. Whether you're new to Perl or looking to strengthen your real-world skills, this resource covers what you need to handle scenarios. Drawing on his decade-plus of Perl experience, Curtis "Ovid" Poe begins with a brief review of the basics of Perl, then moves on to demonstrate how you actually use Perl in the workplace. Additionally, hands-on exercises, invaluable advice, and real-world examples all contribute to making this book essential reading. 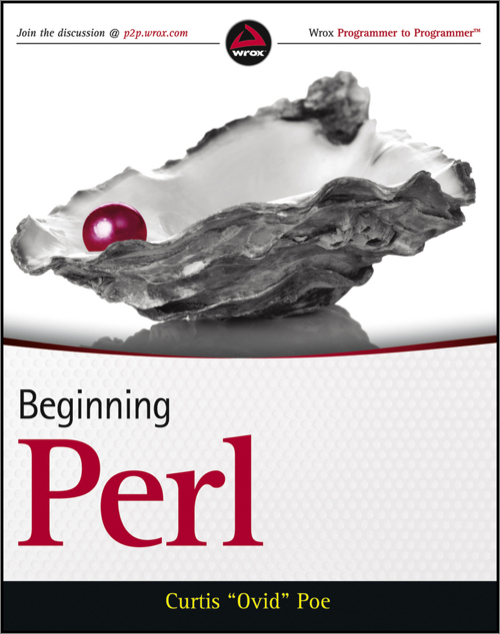 "This is not your everyday Beginning Perl book. Not only does Ovid provide splendid coverage of Perl's basics and best practices, he also covers modern Perl techniques and modules, where Perl's real power lies. [It] is like being given Batman's utility belt: you have everything you need to do truly amazing things. If Perl were a shark, this book would teach you how to outfit it with lasers."